I haven’t been using the Ho Mi for as long as the Koreans….just a few years. But I just love it. It is my favourite gardening tool and has been for a while now. Here is what I wrote in 2009 for Hills and Plains Seedsavers about my gardening tools. 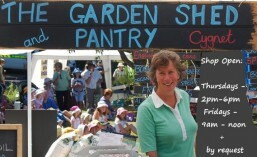 I have been selling the Ho Mi at the Cygnet Market from Day one. 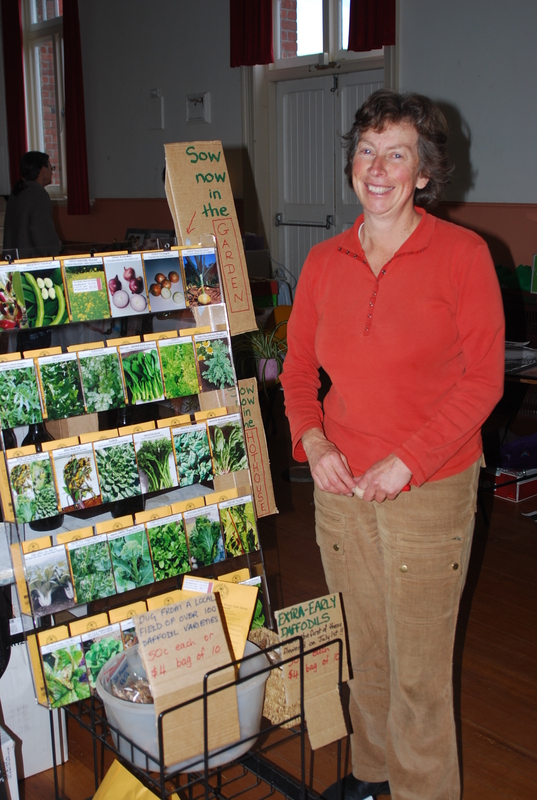 Now, almost everyone in Cygnet has a Ho Mi, even the school has Ho Mi’s for their gardening class. Buy the Ho Mi from me at the Cygnet Market. If you need any further advice, please ask. My father ran a succesful nursery for many years in Adelaide and I have grown up amongst trees, plants and seeds. I want people to be able to grow their own food. 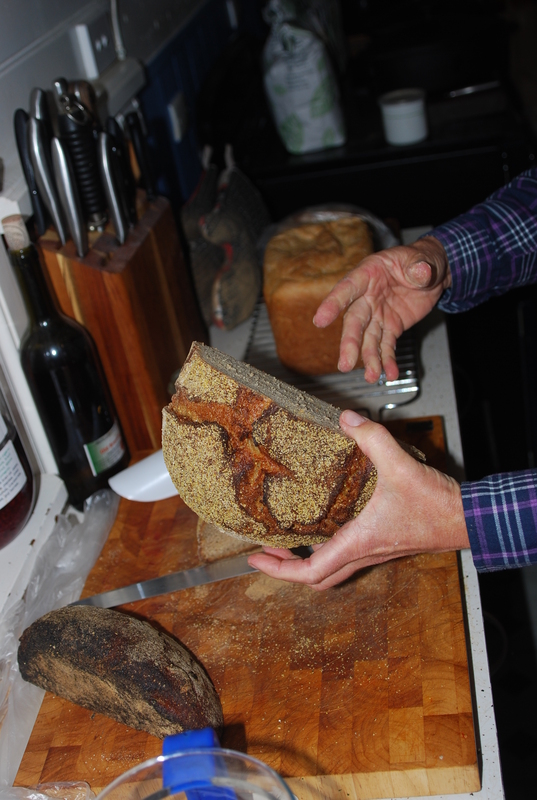 Since adding tastings of Olive Oil and Sunflower Oil at the Cygnet Market, the interest in my sourdough bread has increased dramatically and now the demand for conducting workshops means that I try to run them monthly. The latest workshop has just been run and the participants have commented about their experiences on their blogs. Please take the time to read the comments from Wild Succulent Warbling and Huon View if you are interested in attending one of my workshops. 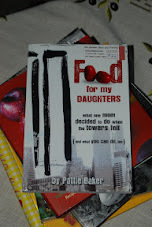 I am pleased to be able to offer my good friend Pattie Baker’s book for you to enjoy. 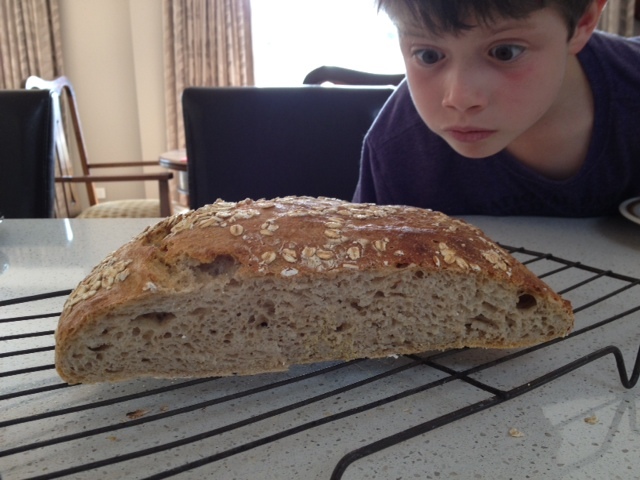 My youngest son, Hugh, is a chef. Right now, Hugh is working hard at building his own business, Hughsli. I visited Hugh in Adelaide in late 2011 and was very proud to see the progress he has made since his very early days. 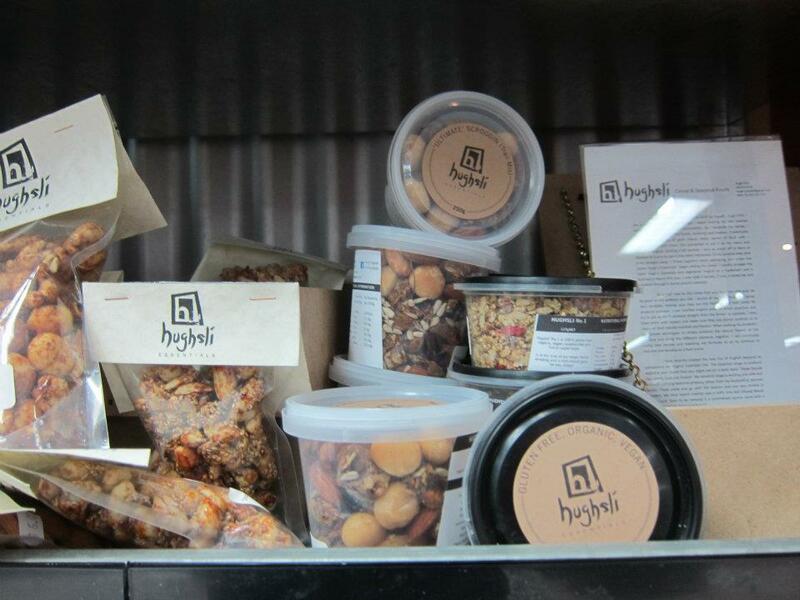 Look for the Hughsli range of products at The Cygnet Market. Find Hughsli on Facebook. 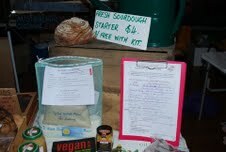 Need a snack while bushwalking? 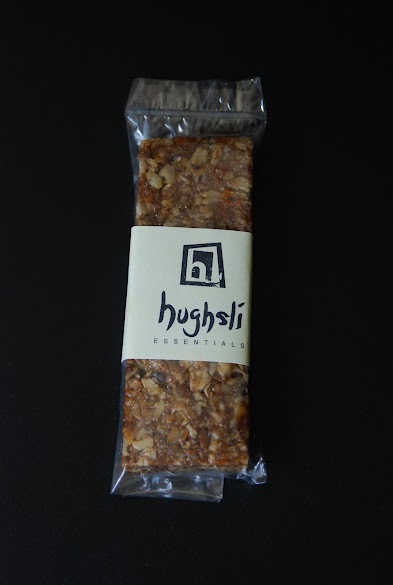 You need a Hughsli Bar. 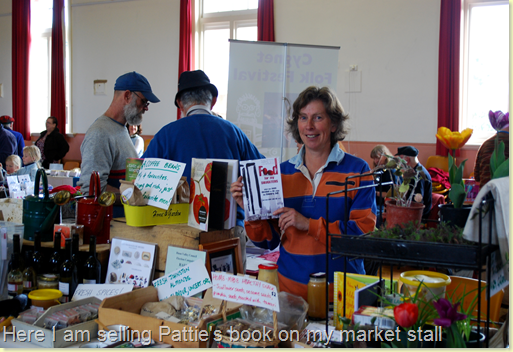 Get yours (original apricot recipe or the new walnut, fig and cherry liquer) at The Cygnet Market. The best of Australian meats and the best of Italian cuisine join together! 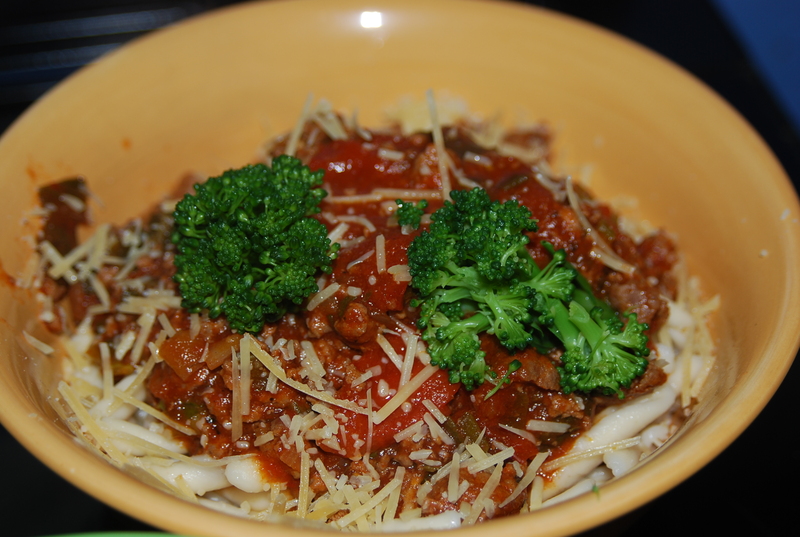 Here is a nice easy pasta recipe using fusilli or spaghetti and wallaby or kangaroo mince. L’Abruzzese organic, Australian pastas are available at the Garden Shed and Pantry. Brown the mince in a heavy pan. Add the onion and fry a few more minutes. 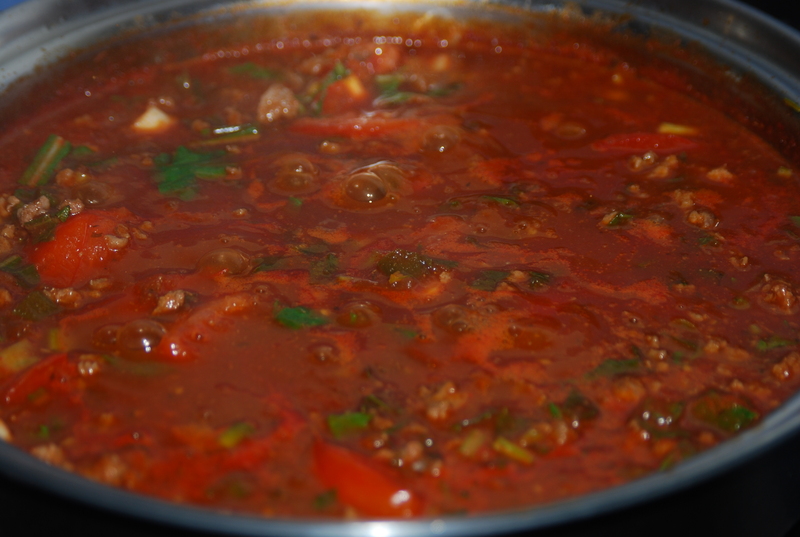 Add the rest of the ingredients and simmer gently with a lid for 1/2 hour and simmer a further 1/2 hour with the lid off. Adjust the liquid by adding more water if necessary, to make a nice thick sauce. 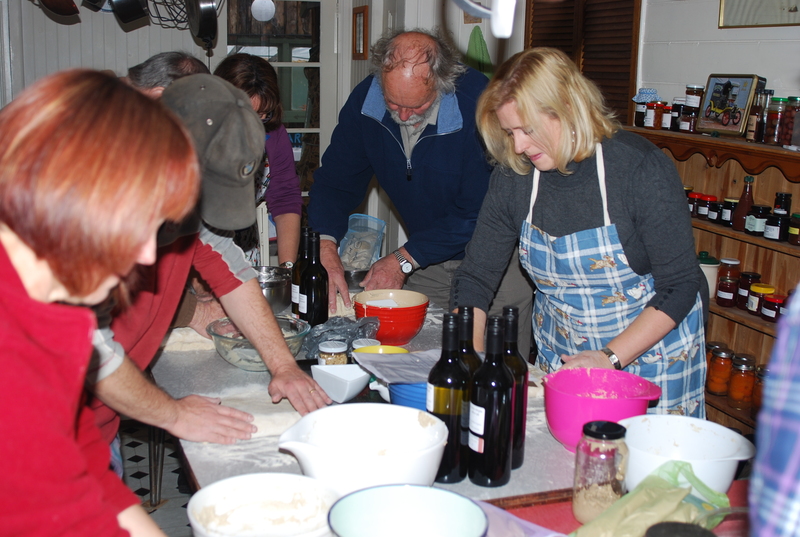 Meanwhile, cook a large handful of pasta per person in plenty of boiling water, 12-15 minutes for L’Abruzzese organic fusilli or 6 – 8 minutes for L’Abruzzese organic spaghetti. 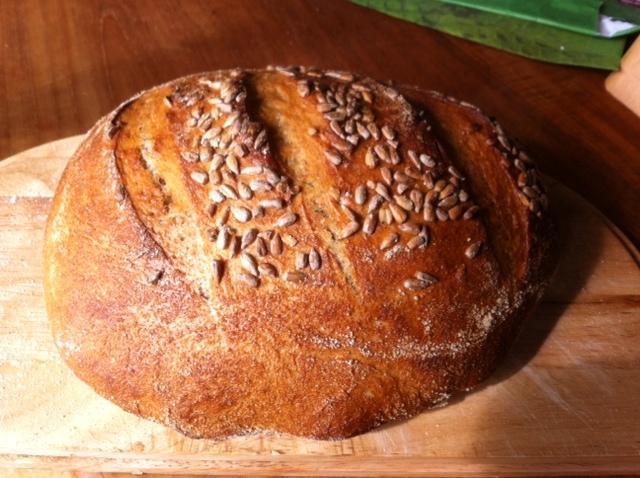 Serve with parmesan cheese and some lightly cooked broccoli or beans or a green salad.